The most common and abundant of the oaks found in Britain and Ireland, especially in the north and west, the sessile oak usually has a much taller and straighter trunk than the English oak, with branching beginning much further above the ground. 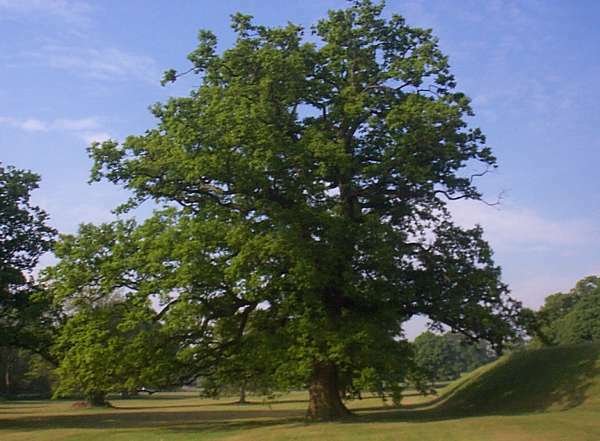 The crown of the tree is narrow in comparison with the spreading shape of an English oak. In spring the flowers are visible as the young leaves open with beautiful glossy upper surfaces in various shades of olivaceous green. By summer the leaves turn dark green. Whereas the acorns of the English Oak, Quercus robur, have stalks, those of the sessile oak do not; instead they sit directly on the twigs. 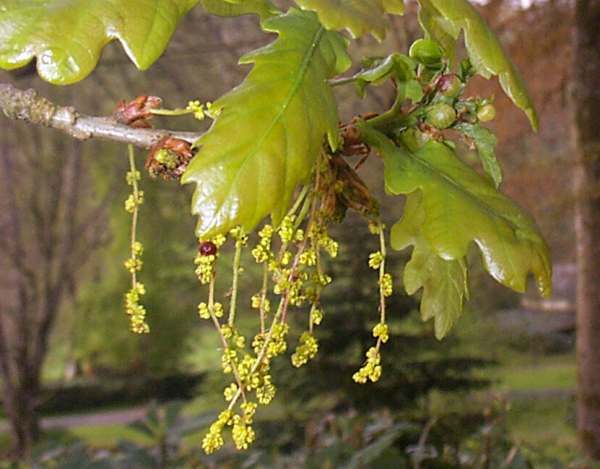 The leaves are also different: they have quite obvious stalks, unlike the leaves of the English oak which have virtually no stalks. All you have to do is remember which way round it is! 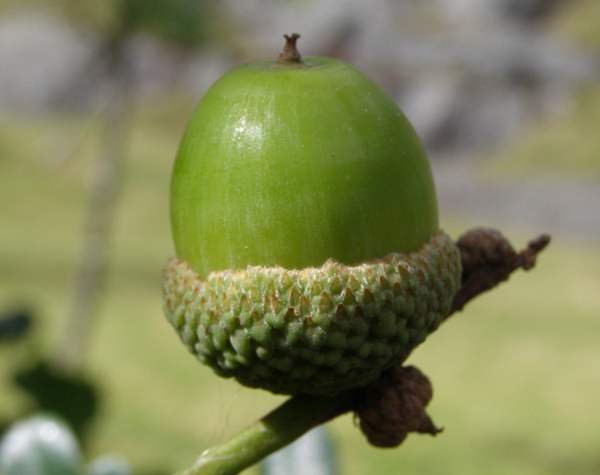 There are other distinguishing features: the lobes of the leaves of sessile oaks are more forward pointing, and the acorns are shorter and more conical than those of the English oak. Sessile oaks are very common on upland acid soils.